To celebrate the launch of its brand new offering, the Avocado Beyond Burger, White Spot is giving burger lovers something to get seriously excited about. 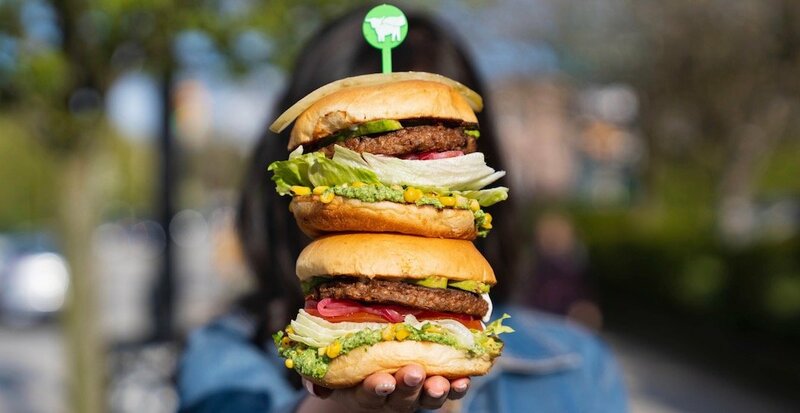 The much-loved BC-based family of restaurants will be offering patrons the chance to win an epic (and undoubtedly delicious) years-worth of burgers. Now with nine drool-worthy burgers on the menu, including the beloved Monty Mushroom Bigger Burger, refreshing West Coast Salmon Burger, and the classic Legendary variety, whoever gets this gift from the foodie gods will have tons of options to switch things up while using their prize. That means one lucky individual will be awarded $1,200 worth of White Spot gift cards, which can be used at any location in BC and Alberta excluding BC Ferries locations. Whether you choose to use the prize to put burger night of repeat for yourself or treat your friends and family to an epic burger feast, there’s no denying this prize is ridiculously juicy. If you’d like the chance to win, simply enter the contest below. The winner of this contest will be chosen on April 22, 2019, and contacted directly about how to claim the prize. The prize will be given to the winner in the form of 12 x $100 White Spot gift cards. Gift cards are valid at any White Spot restaurant location excluding BC Ferries. The winner can use the gift cards for the entire White Spot menu, not exclusively limited to burgers. For more information, check out our general contest guidelines.